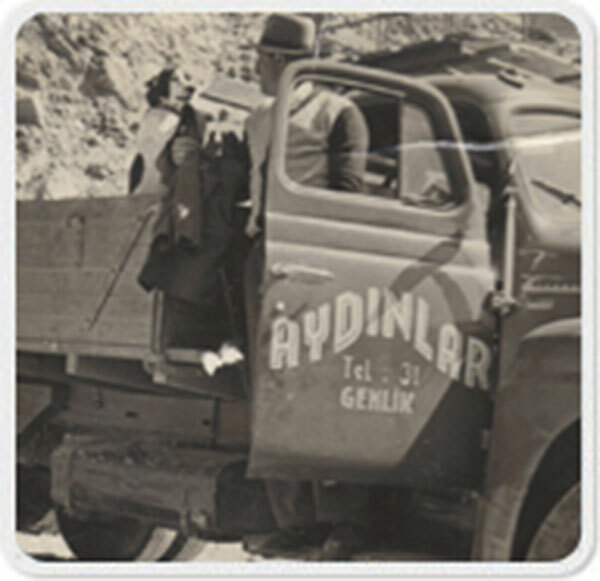 As one of the leading companies in the mining sector, AYDINLAR A.Ş was established by Behçet Aydın (Taşçı Behçet) in 1940s with an objective to produce raw material to cement factories in Istanbul. As one of the leading companies in the mining sector, AYDINLAR A.Ş was established by Behçet Aydın (Taşçı Behçet) in 1940s with an objective to produce raw material to cement factories in Istanbul. Continuing its activities uninterruptedly for four generations, our company, today, continues to grow by maintaining its works especially in mining activities and other sectors including construction, transport, agriculture and food sectors. AYDINLAR İnş. Tah. Ve Turizm Company established within the body of the Company by CEYHAN AYDIN in 1982, so far, has put into practice about 1000 residences in different projects, various infrastructure (roads, foundation, field...) and industrial structure projects.